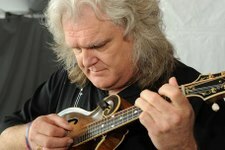 Ricky Skaggs should be in the Country Music of Fame. Because he old enough and been has been 30 years or more. To me he has earn the right know. I am hopping all his either fan’s will back me up on here and on my facebook page. He sings Bluegrass music with sure love and grace and warmth in his heart.